Posted on September 27, 2013 by troy P.
Justin… I can’t stand it anymore, the jumble-fuzzy goin’ on up in me ‘ead. It’s too noisy, a right muffled-roar cacophony, it is. C’mon, you’ve gotta get yerself outta there, is what. Outta your ‘ead, is what. You’ve a bad case of listening too much to yer own voices, mate, n’ not nearly enough to others. Yer friends. Yer tribe. Yer voices of reason. Y’know, all them blokes what tells you how nice n’ good n’ beautiful on the inside you is. Oh… But they’re just being nice. Right they are! And why’dya think they’d be doing that, then? Hmmm. Supposin’ it’s maybe they be taking a shine to me? The real You, they do! Justin… Are they right in doin’ so? I suppose you’ll never know, not until you do likewise. Posted on September 24, 2013 by troy P.
Sorry to double-dip on the Liza, but she needs to make an appearance here this week as well. You see, for this installment of Twisted Mix-Tape Tuesday, Jen tasked us with providing for you, (5) delicious slabs of musical mellow. Just (5) ditties that would relax and soothe, while jamming so, in a slowish-like nature. Me and slow jams get along about as well as – well – about as well as whatever analogy you’d like to insert here to indicate that slow jams and I just don’t get along well at all. As such, this is most likely the first week where I will not even meet with the (5) song standard, based solely on my belief that it really is all about the quality, versus the quantity. And those of you who were going to use that last bit, to now make a disparaging comment about Liza, can just go and stuff it! Slowly and soothingly, of course. For your bonus track this week (what? You don’t actually need 5 songs first, in order to get one, ya know), I decided to avoid Herb, but only because I had already tapped into Stan and Burt. I also avoided a whole host of others that I feel are actually much more mopey than mellow (in large part, this is why today’s post is pretty much new wave-free, in fact). That being said, the following is probably one of my top-ranking “go-to” relaxing slow jams, even though it is neither slow, relaxing, nor jammish in any form or fashion. Posted on September 20, 2013 by troy P.
The words I want to write, I shouldn’t. So the words I want to write, I won’t. But the words I want to write, are the only words available just now in my little head, and they steadfastly refuse to allow any new visitors to come in until they’ve had their say. And that, my friends, leaves me in a bit of a pickle. Now mind you, I normally quite like pickles, especially if their refrigerated and crispy-dill (mmmmm, pickles…), but in this instance, I am none to fond. Honestly, I feel as if writers block is an easier ailment, as it is with that, then at least you know that there is nothing to say. A mental ghost town so to speak, where normally words and ideas are busily bustling about their day. So whatever this thing is called (literate-logjam? post-pickled? ), I was very glad when Leeroy came along with a 100 Word Song that I could have some fun with. While not a particularly huge fan of The Cure, this choice provides plenty of play space, and we even get to break with the 100 Word Rule (for this week only…!) and use a “wrong number” word count instead. 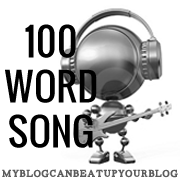 Here is this week’s 100 Word Song. No, I heard you. What did you mean by that? Hey, do most of our conversations go like this? That we talk like this? Umm, I’m thinking that it means he wants to go to the moon again with you. Maybe not with him, but sure. There’s always room for another trip. That was pretty cool, what you did just there. Bringing the conversation full circle. Yeah, I know. I do “pretty cool” all the time. Posted on September 16, 2013 by troy P.
OK. As Jen decided that this week would be a “free for all” Twisted Mix-Tape Tuesday, I came up with an idea. And then I had another idea. One that trumped the first. And then a strange thing happened. And that strange thing was this. I went to oHIo (no, that in it of itself, is not the strange thing) in order to finally meet My Best Friend Ever Whom I’ve Never Met Before, and see with her the drag queen diva’s from RuPaul’s Drag Race perform live. I had a wonderful time with both her and another dear friend of hers as well, and it did my heart an immense amount of good to see that there are people out there, who truly are honest with you in mind and spirit, to the point where you almost know what even their inflection will sound like, before you ever even meet face-to face. People who – though they might live multiple states away – are Good friends, vital to your survival, or at the very least your sanity. Ones that love you, simply because (and in some instances despite) of who you are; rather than who they one day hope you will be. OK, so I suppose in retrospect, none of that was very weird at all, now was it? I mean, other than the fact that I lamented for hours over just the right outfit to wear to the drag event, and upon arrival, decided promptly that I had chosen incorrectly. Regardless, the experience did make me scrap my second idea in a way similar to the first. Just a little more urgently, as I decided that the final draw for this week’s “free-for-all” would be inspired by my overflowing bucket of Joy resulting from last weekend’s adventure (one which we eventually decided to refer to as our “Big Gay Weekend,” or #BGW for short), in that the (5) songs will all be of a caliber such that, should you ever obtain a key and break needlessly into my sub-par apartment, you might very well catch me dancing about all girly like, while lip syncing the lyrics. And yes, if you found yourself peering into my private world in this fashion, just before I had you arrested for breaking & entering, you WOULD be thinking to yourself that I was Damned Good. So just relax, shut up and enjoy the show. Beth, this is for you. Posted on September 13, 2013 by troy P.
He couldn’t quite explain it, but disdain was exactly what his mouth tasted at that very moment. What in the hell sort of name was that? Stupid krauts. Every last one ‘em would be looking for a handout. He knew it. Disdain. Yep, he could taste it. 691 Words Plus A Sentence. Posted on September 11, 2013 by troy P.
I’m uncertain as to whether I am understanding, and as a result, responding accordingly to a recent Daily Post prompt. But in all honesty, they never pay me any attention over there anyway. So I suppose that it doesn’t matter if I’m spot-on, or off-target to the point of looking much like Mr. Magoo shooting a potato gun backwards into a wind tunnel. Yeah, you’re trying to envision that now, aren’t ya? I DO however, know that I’m well within stated regs in regards to Master Class 2013, and I’m also certain that the Professor pays attention to me over there. So much so, that it behooves me to regularly ensure that all my “i’s” are crossed and my “t’s” dotted, before publishing. Having now done so, following is my response to both prompts. As always, please play along, and also as always, I hope you enjoy! But it hadn’t always been that way, no. It had started its life as a crater; blown out of the earth from a shell that had hoped to slam itself noisily into the building that actually stood several hundred feet from where the missile eventually took root instead. As these things go, the crater was quickly made useful as it filled with soldiers, huddled together in a cold, wet, quivering mass; all in the hopes that their proximity to each other, combined with their quasi-concealment, would somehow prevent them from taking similar shots – from much smaller, yet equally deadly shells – to their own bodies. As the scout furtively raised his head over the brim to see if they were alone, the round that blasted arrogantly through his skull quickly provided both him and his comrades with dramatic evidence of the answer that they were hoping to not receive. Leonard wanted to vomit as Scout’s blood and brain sprayed across the pit, covering the other soldiers faces and mouths. But he found that he’d no more substance to expel, and even less energy required to carry through with the exercise anyway. In fact, he’d done so so often, that Leonard could honestly not see where he should ever need to vomit another day in his entire life, once he got out of this unholy mess. If he got out of this unholy mess. Leonard knew that his chum was right of course, and as the clamor of explosions protested closely overhead, he realized once again how true it was, that the next serving of splashing brains could be his to provide, if he found himself unable to get his head out of the damned clouds. But still. How he wished that it were all over. Over and done, and everyone assigned to their new and eternal dwelling places. Of course, there was still that certain fear that his would be the dwelling place less desired. But war had an odd way of making a man fear hell less than heaven, as it is common to fear the thing you don’t know, over the thing you do. Posted on September 10, 2013 by troy P.
You’d be surprised at how often I hear that question. And you’d be similarly surprised at how often I am forced to squeak out a dishonest “no” from my phelgm-filled throat, whilst hastily wiping away any evidence to the contrary from my moistened eyes. 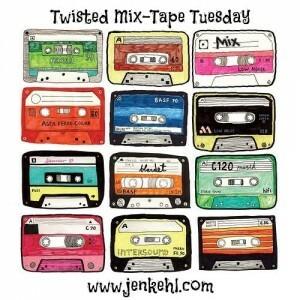 Today, Jen’s Tuesdayer Army celebrates “Beautiful” on Twisted Mix-Tape Tuesday, and for this prompt I could literally litter you with song samplings to last well over the next several months. My song bucket this week is filled with choices that to me, express my belief that beauty lies in hope. But it also lies in sorrow. It lies in the sun, and it lies in the thunder storm. It lies in victory, and it lies in defeat. 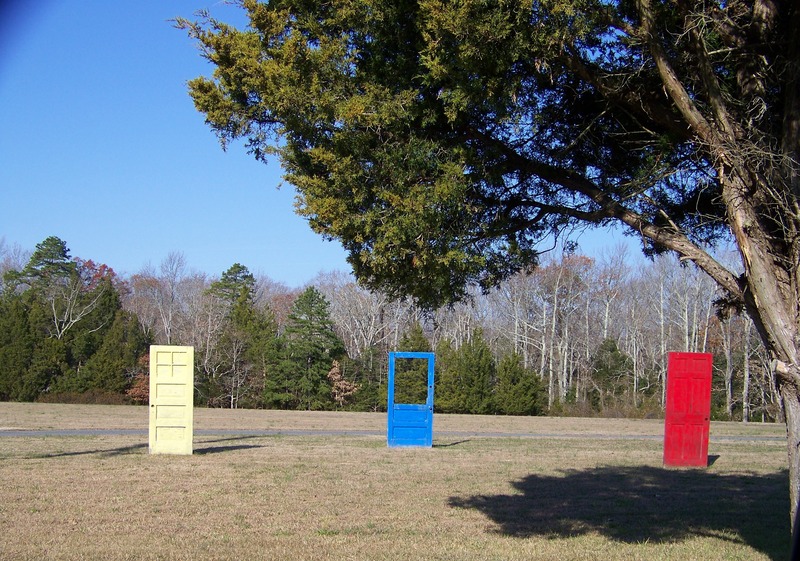 In short, beauty lies at either end of life’s spectrum, versus the muddy monontonous middle – the very area where most of us feel “safe” enough to normally reside. 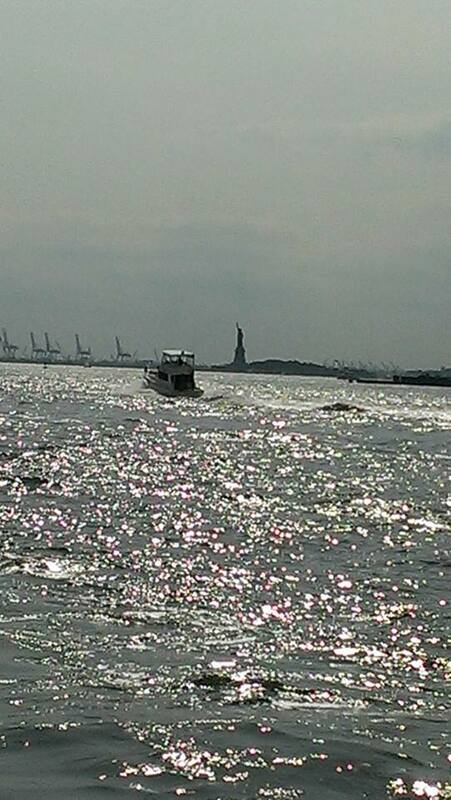 Following is a mere sampling of what I see Beauty as being. And to the eye of this one beholder at least; that, my friends, is what Beauty truly is.